One thing consistent in my life is my choice of color. If I am asked what my favorite color is, it will always be blue. I prefer the lighter shade though. 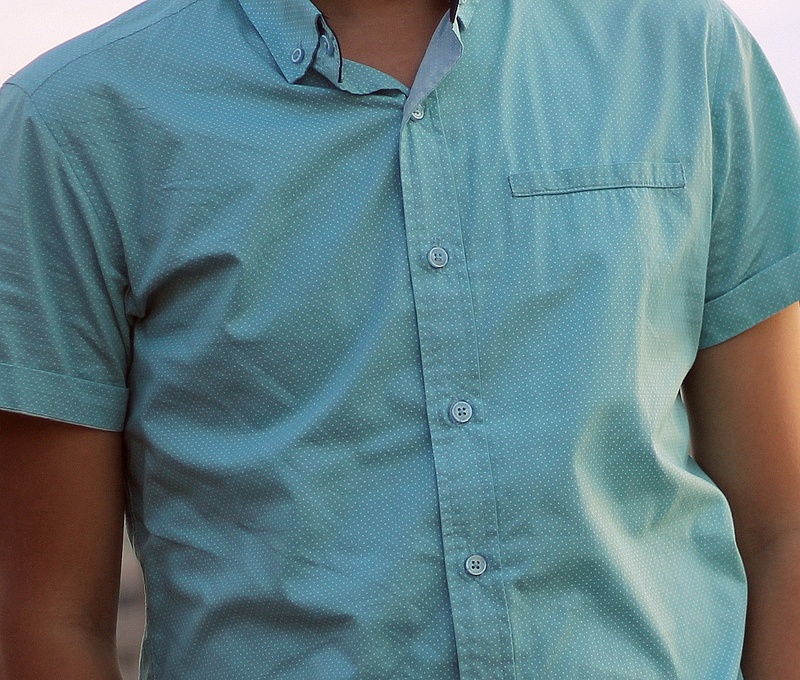 If I will be very specific, the best shade in the world for me is Turquoise. There's an argument though if it's really a blue or a green shade but as far as the Wikipedia is concerned, Turquoise is defined as a "greenish blue color." Why not Carolina blue, or sky blue, or Azure. I am no color master. Turquoise reminds me of my favorite part in childhood whenever the family goes out for a picnic at the beach. I always stare at that part of the ocean with a lighter color. For me, it's more peaceful and gentler. It's reminding me that things will be OK. 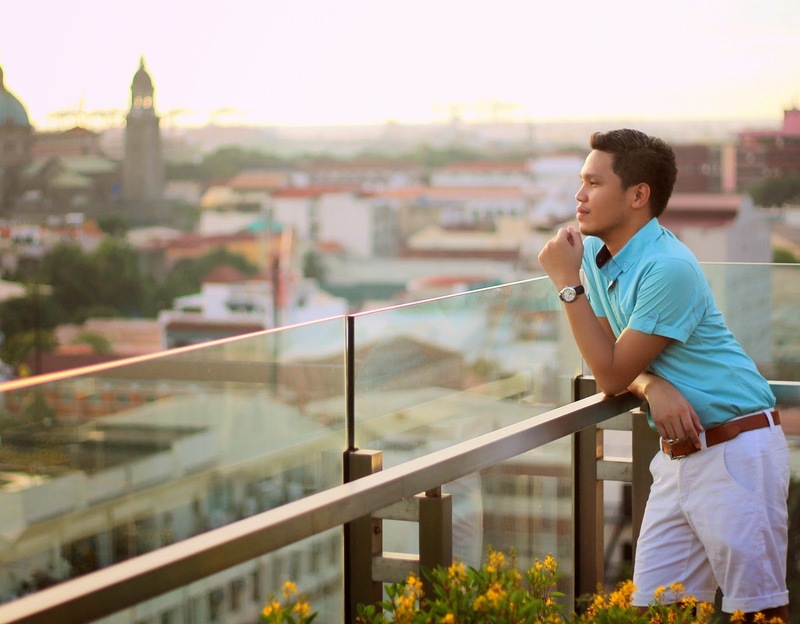 I'm gonna pullout this post from being a dramatic diary into an OOTD entry. Or not really. 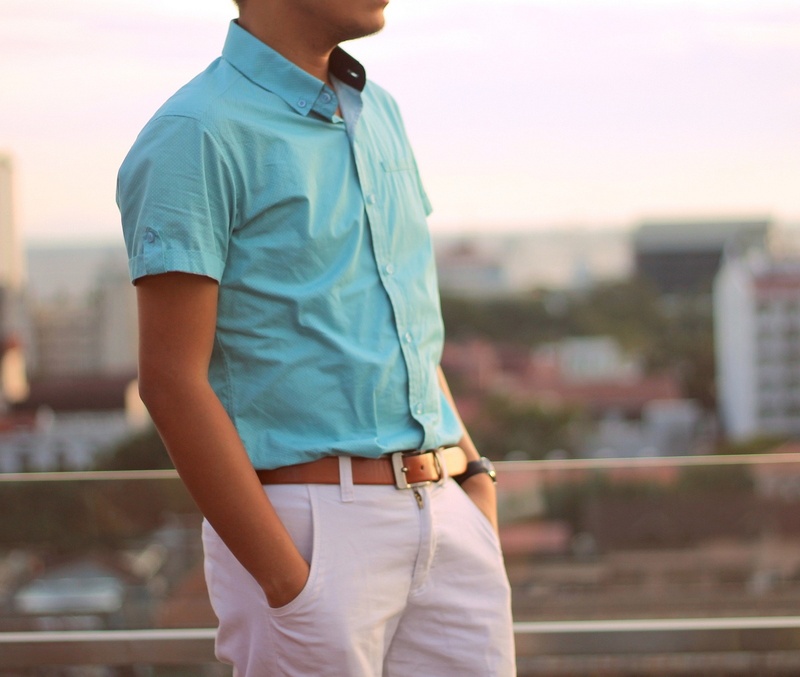 I just want to share with you guys how I picked this Turquoise short-sleeve polo from Maldita Man in SM Aura Premier and spent an afternoon on the roof deck of Bayleaf in Intramuros. 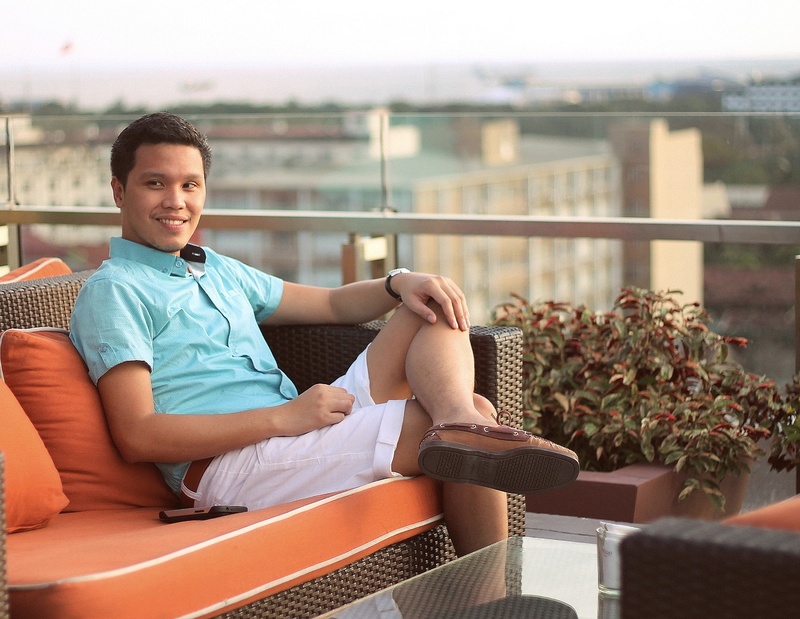 To complete my relaxing day, I paired it with white Giordano shorts and my comfy Sebago boat shoes. 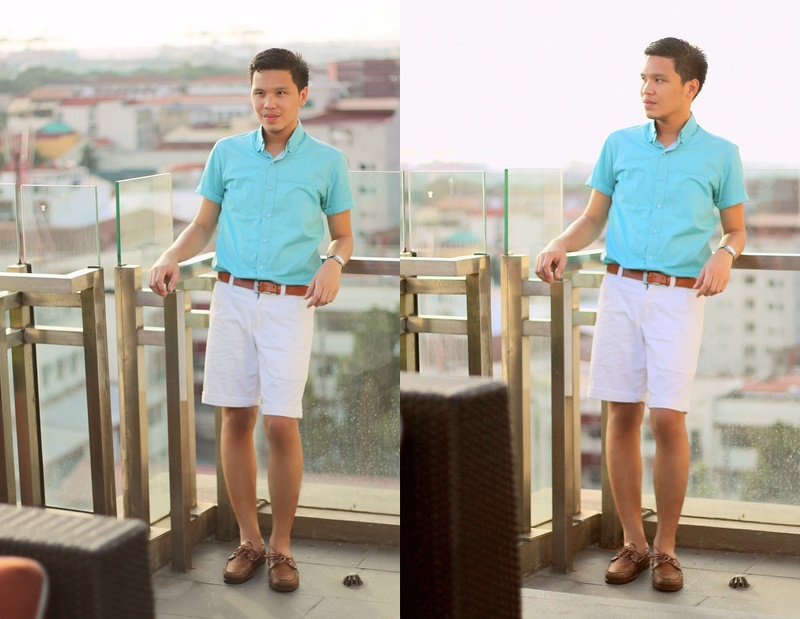 Maldita Man top, Giordano shorts and Sebago boat shoes and we're ready to paint the sky Turquoise!